--Direct Bolt-on (No Modifications Required). --Manufactured from durable 5/32 steel sheet and 2"X0.120" steel tubing. --Includes 2 x heavy duty clevis (D-ring) attachments. --Fits Jeep Wrangler JK 2007-2017. --Include 90W LED lights and 4 Inch 60W Fog lights with 6000K White Halo Ring Angel Eyes. 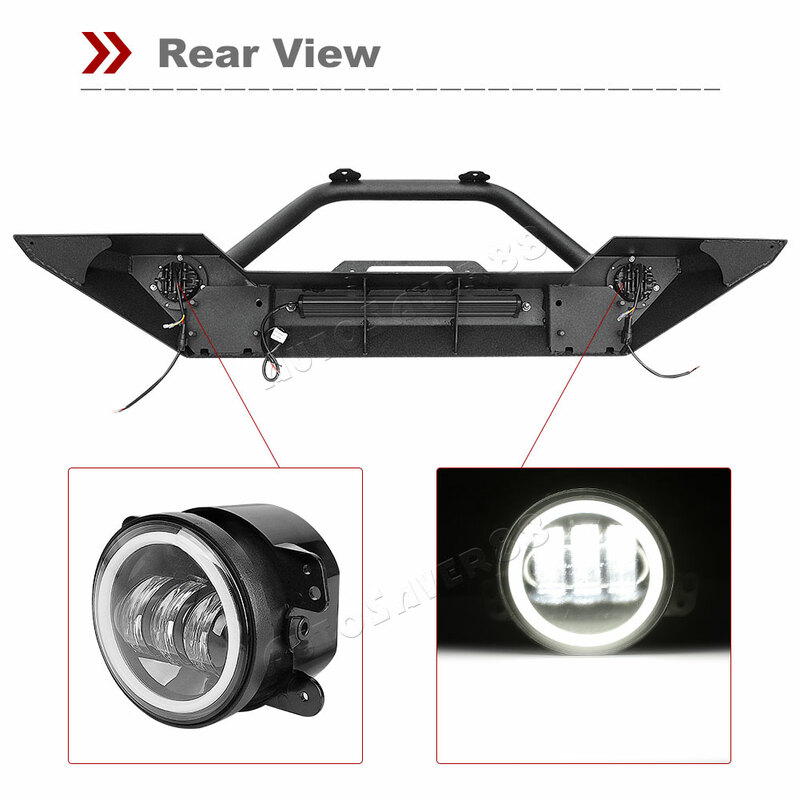 --One pair(pack of 2pc)fog lights, powered by 30w each high output top quality led lights. --Include wiring harness with intelligent remote control. --Condition:100% Brand New in Original Package. --Installation-type：Direct Bolt-On, No Drilling Required. --Fitment:2007-2017 Jeep Wrangler JK Front Bumper.